UNC Greensboro is a university that matters to our students and the world. UNCG is a top NC university where you can be welcomed for who you are. Our caring faculty will challenge you every day. And above all, you’ll learn to create a future that makes a real impact. UNCG’s students represent an array of cultures, backgrounds, ethnicities, identities, and beliefs. Our diversity lends a richness to class discussion that’s hard to find anywhere else. UNC Greensboro was founded in 1891 to give women access to a college education. Now we’re one of the largest co-ed, public NC universities. Despite our size, we are known for providing a welcoming and inclusive environment. Our students come from many ethnic, racial, religious, gender, and cultural experiences. Therefore, class discussions are enlightening and inspiring. 20,000 students, including 16,000 undergrads, chose UNCG. Our students represent 48 states and 69 countries. 84% of our full-time first year students receive some form of financial aid. 80% of freshmen live on campus. No matter the major, our students can expect to receive personal instruction from our best faculty from the beginning. Average class sizes are 25 which means you’ll get the attention you need to make your class lessons meaningful. Your professors will challenge and support you. Helpful staff at the Writing Center and Career Services will give you the tools to succeed. 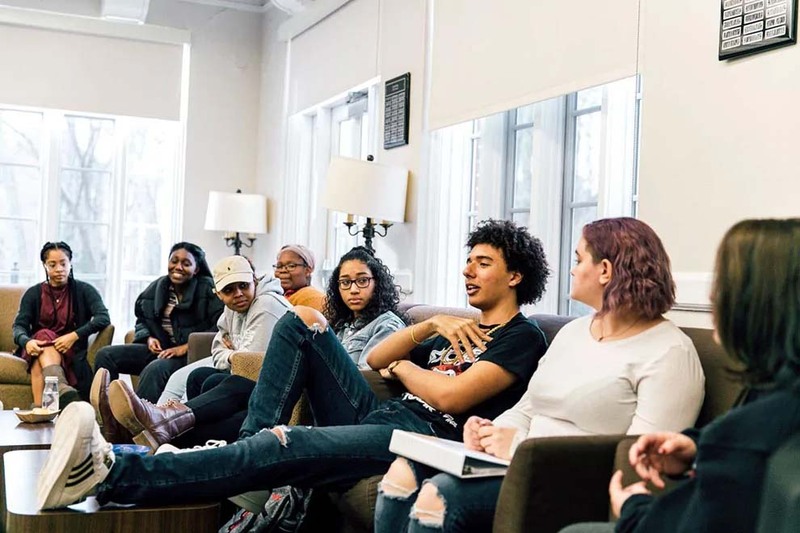 Also, programs like Honors, Residential Colleges, undergraduate research, study abroad, and service learning add meaning to your UNCG experience. 1,000 faculty members teach at all levels (freshman through graduate). Average class size is 25 students. 450+ undergraduate students study abroad each year. UNCG students take our long-standing tradition of service to heart. The campus community contributes a million service hours annually. 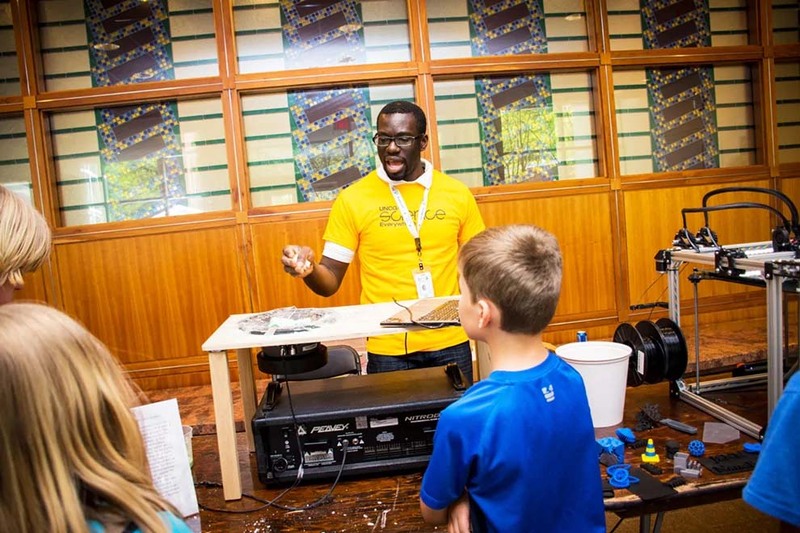 A popular community outreach event is our annual Science is Everywhere day, when UNCG students teach local youth about science and technology. The core of the UNCG academic philosophy includes in-class discussions and opportunities for research and service. We combine these elements in order to give you meaningful job skills and experiences. When you graduate, you will know how to be a leader in your chosen career field. Ultimately, you’ll leave UNCG prepared to make an impact on the community and the world. 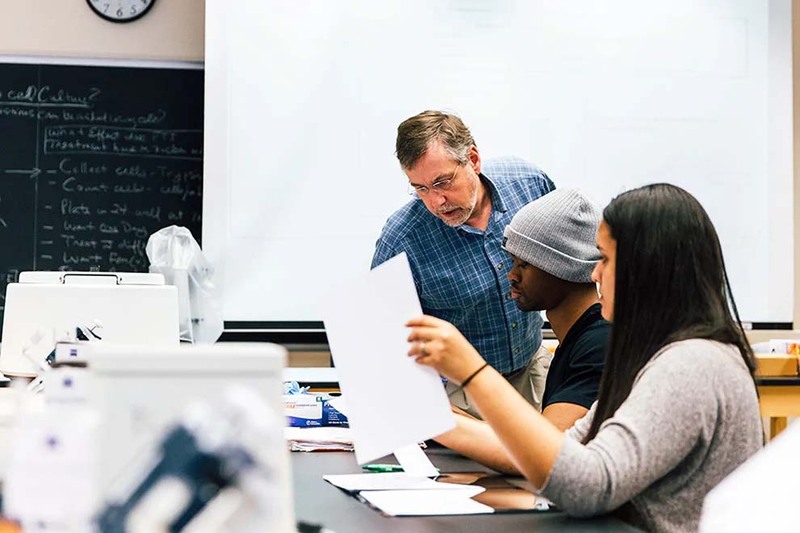 We offer 125 undergraduate majors and concentrations. More than 700 undergraduate students participate in funded research each year. The campus community logs more than 1 million annual hours of community service each year. 1,155 companies recruit students at five annual career fairs.